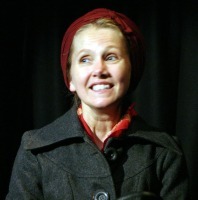 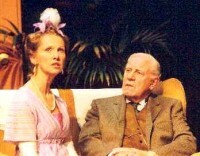 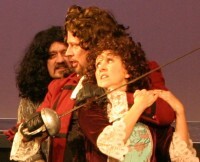 Suzanne's acting appearances for Bawds include SHE STOOPS TO CONQUER (Kate's Maid), THE CRUCIBLE (Abigail Williams) , LES LIAISONS DANGEREUSES (La Presidente de Tourvel), TIME OF MY LIFE ( Stephanie Stratton), THE WINSLOW BOY (Catherine Winslow), THE MAN IN THE IRON MASK (Constance), THE DEEP BLUE SEA (pictured above as Hester Collyer), AND A NIGHTINGALE SANG (Helen), DAVID COPPERFIELD (Jane Murdstone), NICHOLAS NICKLEBY (Mrs Squeers) and BLITHE SPIRIT (Elvira). 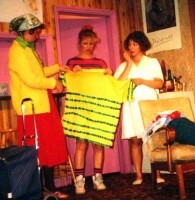 Suzanne's directorial credits for Bawds include NEVER THE SINNER and PYGMALION. 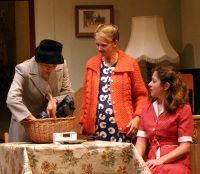 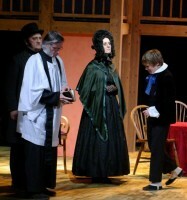 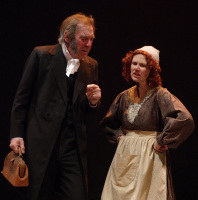 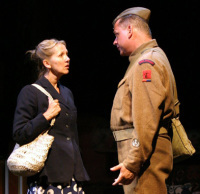 Other directing credits include FOUR NIGHTS IN KNARESBOROUGH for her own company Black & Blue Eyed Productions. 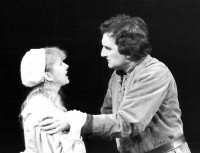 Productions for other companies include GLASSTOWN (Anne Bronte), BELL BOOK AND CANDLE (Gillian), THE HAPPIEST DAYS OF YOUR LIFE (Barbara Cahoun), THE DAY AFTER THE FAIR (Anna), PYGMALION (Eliza Doolittle), THE LIVER BIRDS (Beryl), DANCING AT LUGHNASA (Chris), HABEAS CORPUS (Felicity Rumpers), SEASON'S GREETINGS (Belinda), EDUCATING RITA (Rita), RACING DEMON (Stella Marr), Rattigan Double Bill THE BROWNING VERSION (Millie Crocker-Harris) & HARLEQUINADE (Edna Selby) and LAUNDRY AND BOURBON (Elizabeth). 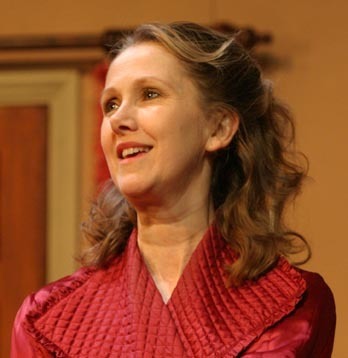 Suzanne has also directed a number of productions including SCARLETT RIBBON, WOMAN IN A DRESSING GOWN, TWELVE ANGRY MEN and two plays of her own, THE REAL MRS TIGGYWINKLE and CYNARA. 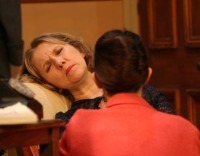 For her performances in THE DEEP BLUE SEA and AND A NIGHTINGALE SANG, Suzanne won the 2006 Bawds Golden Plume Award.